If you love eating fruit tarts, I’d strongly recommend to try the tarts sold at Fruit Paradise. Fruit Paradise tarts are made with lightly sweetened cream topped with fresh fruits. The fruit tarts are made with only the freshest and most delicious fruits, carefully selected by their Japanese Patissiers every day. When I first visited their outlet at Vivo City, I tried Strawberry Tiramisu tart and Mango Strawberry tart. 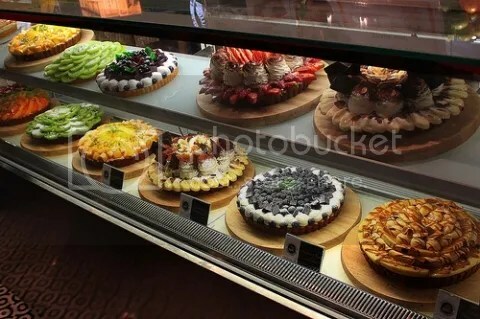 The tarts are sold at $6.80 per slice or $43 for one whole cake. The tarts in general are not too sweet as compared to other shops. The fruits used for the tarts are really fresh and yummy. I’d recommend this place if you’re looking for a cozy spot to chill and talk with your friends while enjoying a slice of fruit tart.